Massachusetts Republican Governor Charlie Baker (left) and Democratic challenger Jay Gonzalez. 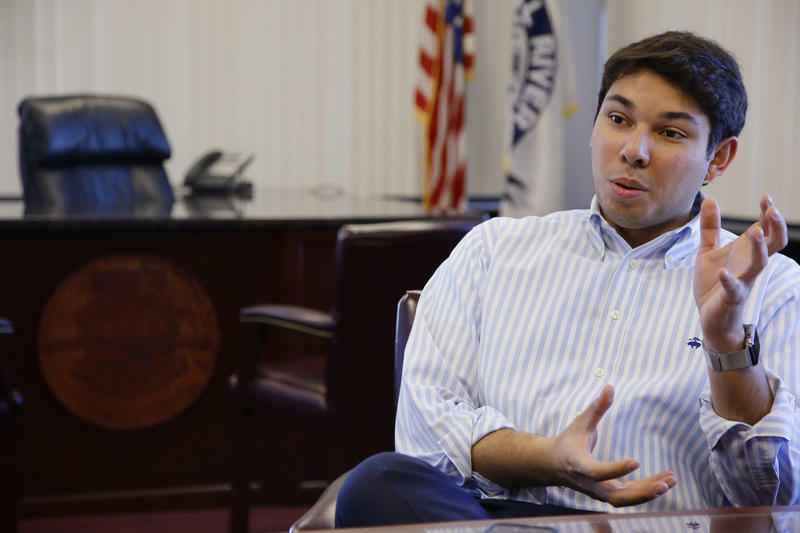 The mayor of Fall River, Massachusetts -- Jasiel Correia -- was indicted on federal charges this week that he defrauded investors and lied to tax authorities. Prosecutors said Correia collected more than $360,000 from investors to develop an app. They said he spent much of that on a lavish lifestyle and political campaigns. And Republican Governor Charlie Baker's re-election campaign quickly removed an endorsement from Correia, a Democrat, from its website, and donated money from the mayor to a charity. As for Baker, he met his Democratic rival, Jay Gonzalez, in the first gubenatorial debate of the general election season. Baker, who has a hefty lead in the polls, touted his record. But Gonzalez kept saying Baker isn't doing enough. A recent poll in the race for Connecticut governor has Democrat Ned Lamont leading Republican Bob Stefanowski by eight points. The poll from Quinnipiac University also found outgoing Democratic Governor Dannel Malloy is less popular than President Trump. ​Listen to all our The Short List podcasts. Find more podcasts from NEPR. Massachusetts Governor Charlie Baker presented himself Tuesday night as an able administrator, while Democratic challenger Jay Gonzalez pushed for big programs and big spending in their first of three debates before Election Day. At a town hall in Holyoke, Massachusetts, Senator Elizabeth Warren said she would be taking a "hard look" at running for president in 2020. Steve Crosby, who chaired the Massachusetts Gaming Commission from its start seven years ago, resigned from the job this week.